DUBAI, UAE, March 24, 2019 /PRNewswire/ -- Dubai's real estate market is witnessing an exciting development at the moment - one that tenants, landlords and investors can all look forward to with enthusiasm. Rightdoors.com, a one-of-its kind hybrid real estate portal, is promising a breath of fresh air by offering a commission-free experience for all those who wish to dabble in one of the region's fastest growing property markets. 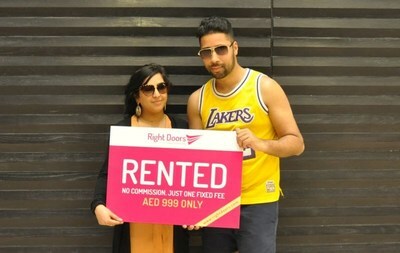 Rightdoors.com promises a flat rate of AED 999 from clients irrespective of the worth of the property. Renting and investing have now become easier as Dubai's real estate stands poised for further growth and development.